Chain Drive Vise Hardware - 12"
Our Chain Drive Vise hardware is designed around independent screw assemblies. We offer chains with 12", 18" or 24" spacing between screws. This makes holding an upright board for dovetailing a breeze. 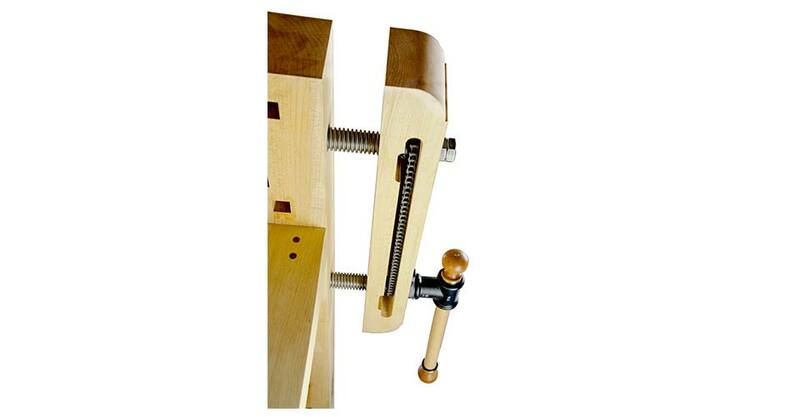 The T-handle screw can be mounted on either the left or right of the vise jaw. 1-1/8" x 5 tpi rolled acme thread screws. Typical maximum opening is 8-1/4". Click Here for the Chain Drive Vise Installation Instructions, which include directions for building your vise jaws. To make assembly easier, we offer an Installation Kit for $45, returnable for credit.